The University of Illinois Springfield will celebrate Black History Month in February with a variety of events designed to educate and raise awareness. The theme of this year’s celebration is “At the Crossroads of Freedom and Equality: The Emancipation Proclamation and the March on Washington”. The following is a list of events that are free and open to the public, unless otherwise noted. The UIS Diversity Center will hold a Soup and Conversation discussion on Friday, February 1 from 2-3:30 p.m. in the Diversity Center, Student Life Building (SLB 22). Participants can enjoy Gumbo Soup, while discussing the film Soul Food Junkies, which explores family, food, and tradition. Omar Tyree will speak on Friday, February 1 at 7 p.m. in the Public Affairs Center, Room C/D (located on the lower level). Tyree is a New York Times best-selling author, journalist, reporter, poet, screenwriter, songwriter, playwright, event host, lecturer, blogger, publishing consultant and literacy advocate. 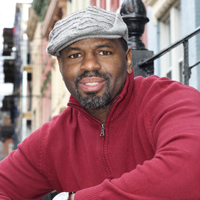 He won a 2001 NAACP Image Award for Outstanding Literature in Fiction, a 2006 Phillis Wheatley Literary Award for Body of Work in Urban Fiction, and a 2010 HBCU Legends Award for his tireless work in urban literacy. The UIS Black Student Union and Black Male Collegiate Society will sponsor a Barber and Beauty Shop on Saturday, February 2 from 2-6 p.m. in the Lincoln Residence Hall Great Room. Students will be able to get their hair curled, straightened, cut, etc. The Ebony Ball, a gala showcasing and honoring African American student leaders, will be held on Saturday, February 2 at 9 p.m. in the Student Life Building (SLB Multipurpose Room). The ball will feature a court, similar to homecoming or prom. The Division of Student Affairs presents, Dr. Virgil J. Rhodes, Jr. in concert on Tuesday, February 5 from 11:30 a.m. to 1 p.m. in the Public Affairs Center Food Emporium. 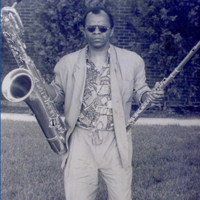 Rhodes is a jazz historian, jazz promoter, jazz performer and college professor. He was a charter member and still performs under the group name Footprints, which plays jazz endues and festivals throughout the world. Virgil never played a musical instrument, until he was 35. Now twenty plus years later, he is a very skilled player on the flute and saxophone and teaching himself how to play acoustic bass and piano. The Heritage Bowl, a game style academic tournament designed to increase knowledge about African American contributions to society, will be held on Saturday, February 9 from 2-5 p.m. in Brookens Auditorium (lower level Brookens Library). The bowl was created to educate and stimulate the minds of UIS students. A Celebration of Gospel will be held on Sunday, February 10 from 6-9 p.m. in Brookens Auditorium (lower level Brookens Library). The event will celebrate the history of Gospel music and its artists and musicians. 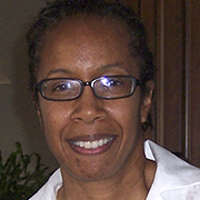 The UIS Engaged Citizenship Common Experience (ECCE) Speakers Series presents “From Maid to Millionaire” featuring Dr. Rhondda Robinson Thomas on Wednesday, February 13 at 7 p.m. in Brookens Auditorium (lower level Brookens Library). 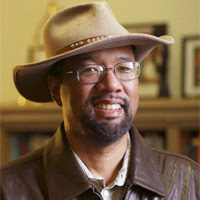 Thomas is an assistant professor of African American Literature at Clemson University. In this multi-media presentation, Thomas will examine the neglected stories of African American domestics in the North, particularly the experiences of young African American women who relocated to Cleveland during the Great Migration and found employment, housing, and recreation at the Phillis Wheatley Association (PWA). The African American female domestic has become an iconic figure in Southern culture, literary texts, and popular films such as The Help and Gone with the Wind. The UIS Black Male Collegiate Society presents “Heart of a Collegiate Man” on Saturday, February 16 from 2-5 p.m. in the Diversity Center, located in the Student Life Building (SLB 22). Dating and relationship topics will be discussed among participants. UIS will honor Motown on Saturday, February 16 at 10 p.m. with “Motown in Yo’Town” in the Housing Commons. Motown is a recording label that played an important role in racial integration of popular music. This event will consist of music honoring the greats of Motown, film and stage, celebrating music from then to now. There will be acting, karaoke, dancing, and a classical Soul Train line. The UIS College of Business & Management will host a presentation by alumna Evelyn Ivy, CPA on Wednesday, February 20 from 4-6 p.m. in the PAC Restaurant (lower level Public Affairs Center). Ivy is the founder and CEO of Financial Keepers, a Springfield-based firm. She holds three master’s degrees from UIS in Educational Technology (2005), Business Administration (MBA) (2008), and Accountancy (2009). Ivy knows what it takes to succeed in school, at work, and in life. If you would like to attend, RSVP before February 14, 2013 to UISGAAccountancy@uis.edu. The UIS Engaged Citizenship Common Experience (ECCE) Speakers Series presents “Monitoring Governance and Human Rights in Gambia” on Wednesday, February 20 at 7 p.m. in Brookens Auditorium (lower level Brookens Library). 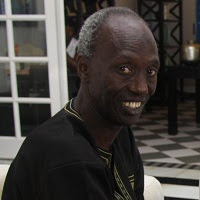 Dr. Alieu Taal, a senior faculty member at the University of The Gambia, will discuss the country’s reputation for human rights abuse and disrespect for the rule of law. International efforts are underway to improve Gambia’s human rights record. The UIS Black Student Union (BSU) presents Poetry Night on Thursday, February 21 at 9 p.m. in the Public Affairs Center Atrium (PAC third floor). BSU’s annual poetry night features the creative writing and performances of UIS students and local poets. The UIS Black Male College Society will induct new members during a ceremony on Friday, February 22 from 5-8 p.m. in the Public Affairs Center (Room C/D). Award-winning documentary filmmaker, published writer, anti-sexist activist, and lecturer Byron Hurt will discuss his film, Hip-Hop: Beyond Beats and Rhymes, following a screening on Saturday, February 23 at 2 p.m. in Brookens Auditorium (lower level Brookens Library). His popular documentary examines representations of gender roles in hip-hop and rap music. 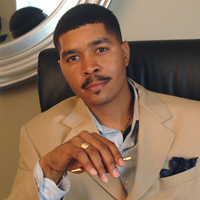 Hurt is also the host of the Emmy-nominated series, "Reel Works with Byron Hurt." His latest film, Soul Food Junkies, was released in 2012 and aired nationally on PBS’ Emmy award-winning series, Independent Lens. For more information, visit www.BHurt.com. The UIS Black Student Union (BSU) will hold its second annual Dance Festival on Saturday, February 23 from 8-11 p.m. in the Lincoln Residence Hall Great Room. The event highlights student organizations, such as the Legacy Dance Team, Dancing Stars and Global Rhythm. Students get to see and learn about other cultures through performance and dance. “Voices in Black”, a tribute to African American women though song, dance and spoken word, will take place on Sunday, February 24 from 4-7 p.m. in the Lincoln Residence Hall Great Room. The event will feature a series of monologues and song telling. Junior Bridgeman, a former NBA player and businessman, will speak on Wednesday, February 27 from 10:30 a.m. to Noon in Brookens Auditorium (lower level Brookens Library). Bridgeman started his basketball career at the University of Louisville and was later drafted by the Los Angeles Lakers. 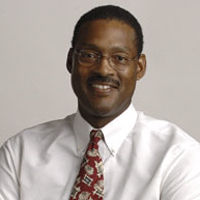 Bridgeman spent 12 years playing for the NBA’s Milwaukee Bucks before entering a career in business. He is currently the president of Bridgeman Foods, which owns and operates 160 Wendy’s restaurants across the country. The UIS Engaged Citizenship Common Experience (ECCE) Speakers Series presents “The Legacy of Dr. Martin Luther King” featuring Dr. Konrad Hamilton on Wednesday, February 27 at 7 p.m. in Brookens Auditorium (lower level Brookens Library). Hamilton will discuss Dr. King’s legacy in the context of today and how his mission continues. Hamilton holds a Ph.D. in history from Stanford University and is an associate professor of history and chair of American Studies at Knox College. The 2013 Illinois History Symposium, “Slavery and Emancipation: Global Perspectives,” will be held on the UIS campus February 28-March 1. UIS students and faculty, with proper identification, will be admitted free to all presentations, but paid reservations in advance are required for any meals, including the SAGE luncheon on February 28. For more information, visit http://events.uis.edu/2013/01/uis-hosts-2013-illinois-history.html. For more information on Black History Month events at UIS, contact Dr. Clarice Ford, executive director of the UIS Diversity Center, at 217/206-6333 or cford21@uis.edu.